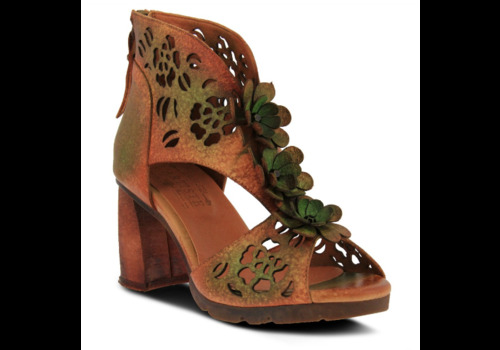 French inspired, hand-painted leather closed back sandal featuring floral laser cutouts and matching leather flowers on the vamp. 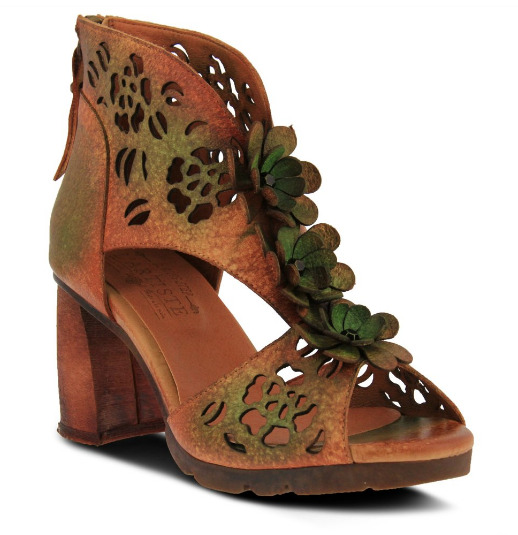 Heel Height (approximately): 3", 1/2" platform. 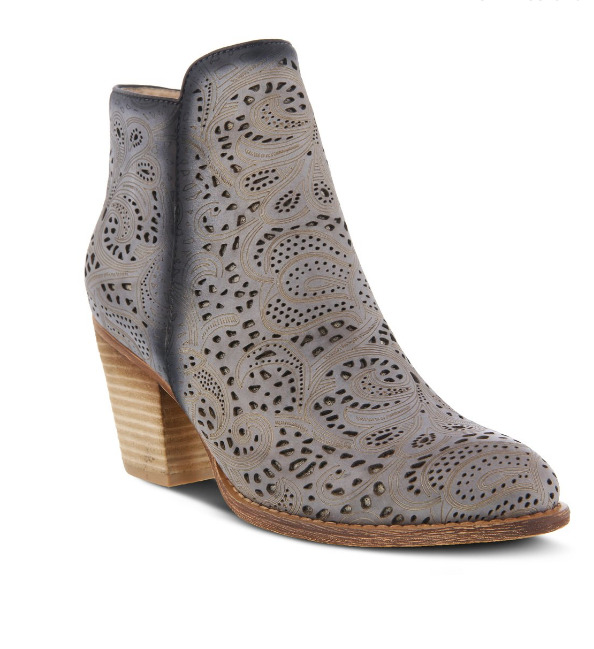 Heel Height (approximately): 2 3/4" stacked, 1/2" platform.